An Au Pair receives several benefits in exchange for help with the child care. 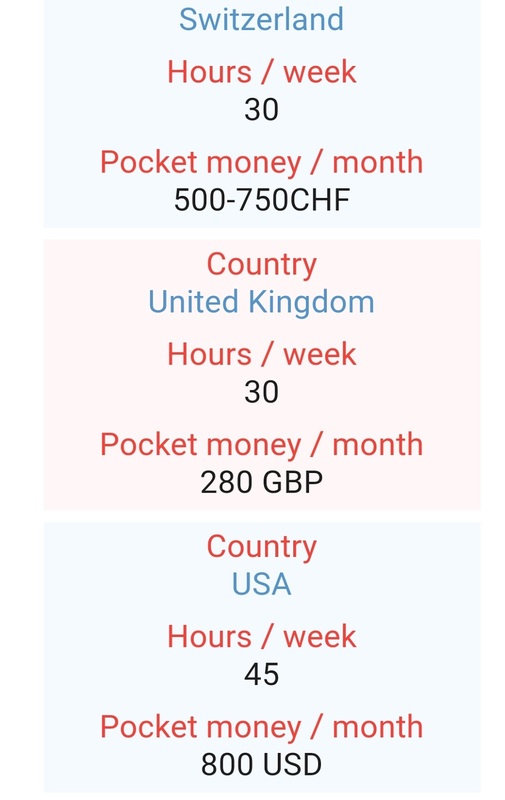 One of these benefits is regular pocket money. 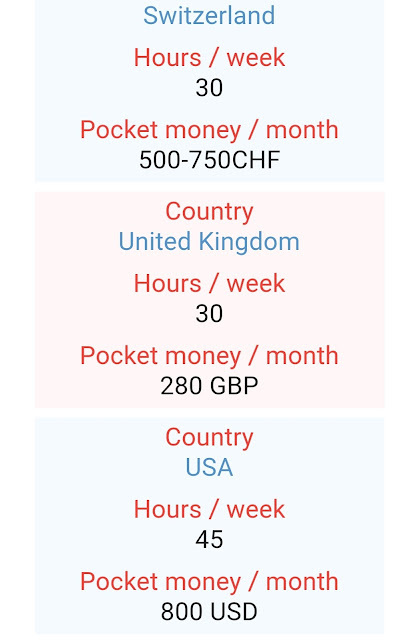 This money helps the Au Pair to bear some personal extra costs. 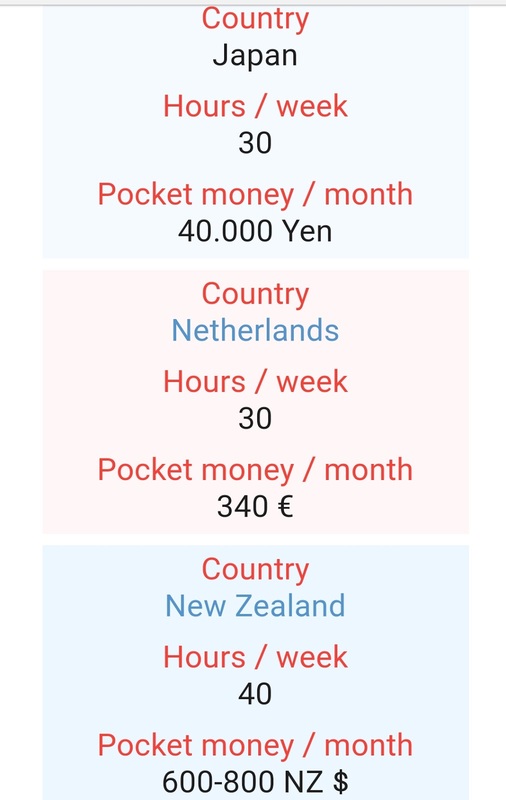 As pocket money is one of the Host Family’s expenses, we would like to share approximative rates in different countries. 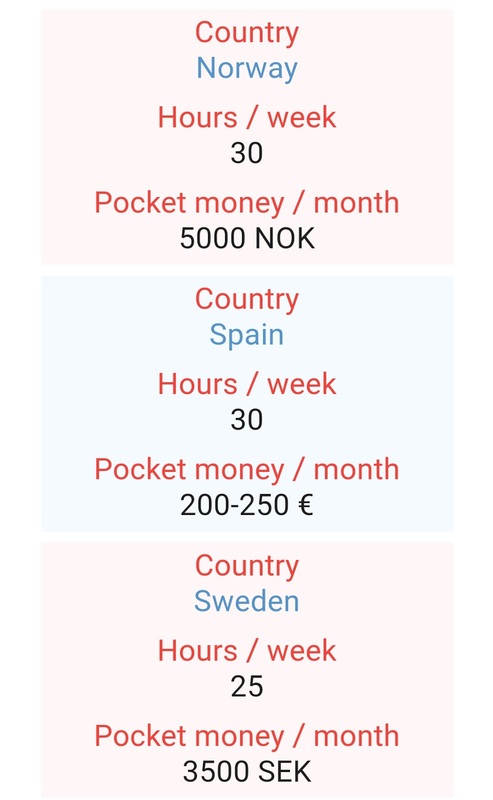 depending on the Host Family, the working hours and the host country. If an Au Pair wants to babysit some extra days, the Host Family can give her some extra holidays in the future. 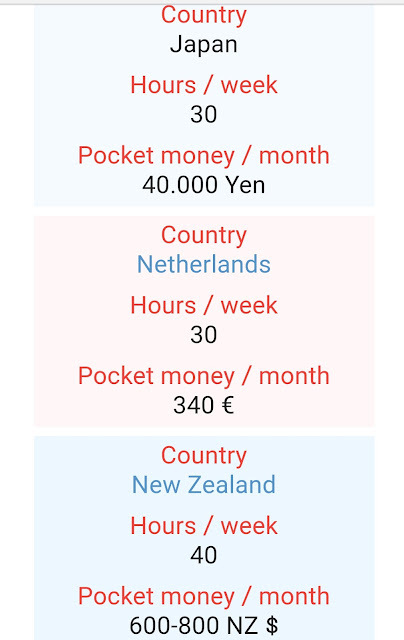 In addition to pocket money, the Au Pair will get full board and accommodation at the Host Family’s home during the whole stay. This will give both sides the opportunity to experience a cultural exchange. 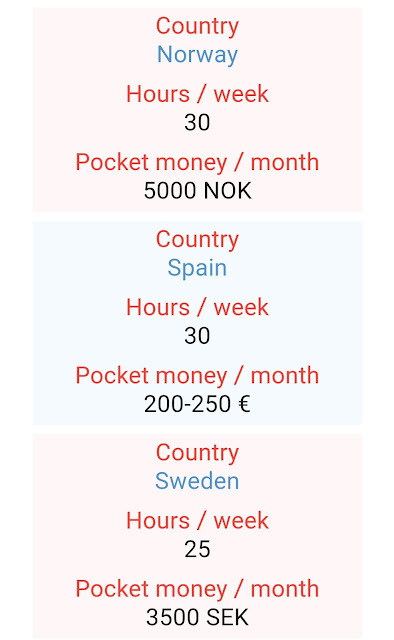 Families may also help their Au Pairs with other expenses like mobile phone, transportation or allow using their car in free time.